In the Quebec countryside during a brutal winter, a woman and her daughter await the death of their family's matriarch. In a remote location in Quebec, Canada, in the dead of winter, the bond between three generations of women is tested and forever changed as they experience loss. With The Law of Averages Writer/Director Elizabeth Rose brings to the screen a story rooted in personal experience, with a witty yet moving screenplay, amazing scenery and compelling performances offering a fresh take on the mother/daughter dynamic. As a filmmaker, Rose initially tried to avoid tackling the subjects covered in The Law of Averages, because of her personal connections to them. However, the absurdity of very dark and dramatic situations, how humor arises in the saddest times, intrigued her and with time, it became impossible not to develop the project. 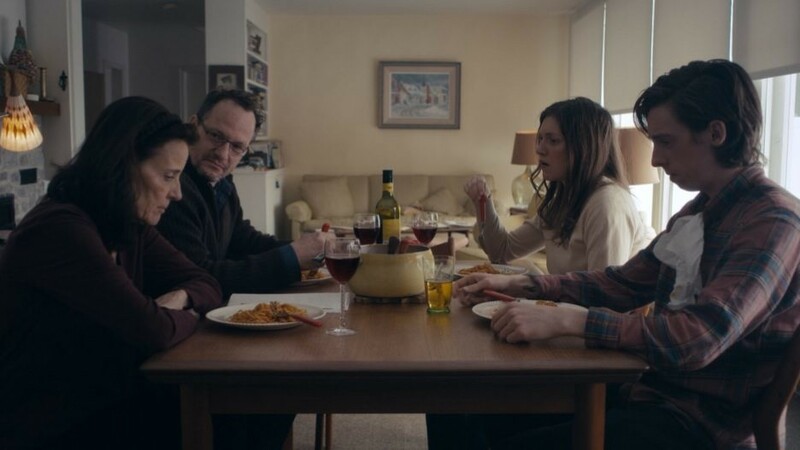 Even though at first sight the film appears to be about loss, relationships are the core of the story and the plot progresses as we peel back more and more layers of the on-screen family. Mother and daughter relationships portrayed in film can often become one-dimensional, but this certainly isn’t the case with The Law of Averages and the complex dynamics definitely hit close to home for me, thanks to an extremely subtle and genuine screenplay. The film is of course a dramatized version of Rose’s life, allowing her sharp sense of humor to spread over the dialogue, and ultimately the situation itself as well. The snowy location is ideal for such a sad context and actors Suzzy Roche and Lucy Kaminsky bring Rose’s words to life with commanding performances, as they perfectly play two flawed and hurt characters that keep on revealing themselves in an endearing manner. When Rose approached the film, she did not see it as a comedy. It is the sincerity of the characters, and the delivery of the dialogue that give its black comedy tone. After its festival run in 2017, The Law of Averages was released online and became a Vimeo Staff Pick. Rose already has a few projects in the pipeline, notably a feature film that she is co-writing, and another one centered on female mentorship in the arts.